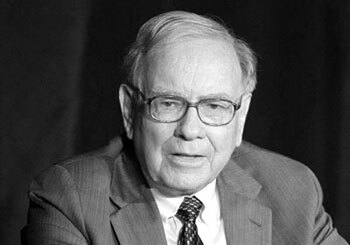 Warren Buffett’s Berkshire Hathaway (BRK-a) (BRK-b) is the most highly regarded company in America, according to Harris Interactive’s annual survey of corporate reputations released today. For the first time in four years, the survey found that while the vast majority of Americans are still very skeptical about big business, their opinion of big corporations is improving. The percentage of Americans who see the state of reputation as “not good” or “terrible” decreased from 88% in 2008 to 81% in 2009, the survey showed. CNNMoney: “This year, we see overall corporate governance, performance and leadership driving positive reputation perceptions,” said Robert Fronk, senior vice president of Reputation Management at Harris Interactive. Berkshire Hathaway, Johnson & Johnson (JNJ), tech giant Google (GOOG), 3M Company (MMM), consumer-products maker SC Johnson, Intel (INTC), software giant Microsoft (MSFT), Coca-Cola (KO), Amazon (AMZN) and General Mills (GIS) debuted on the list in the top 10. One of the true surprises in the study belongs to Ford (F), whose score increased by 11.28 points from 2008, the largest single year improvement in the past nine years. “Ford’s almost record-breaking leap in reputation, the second-largest in our study’s 11-year history, was enabled by perceptions of their products and services finally catching up with the other positive indicators we have seen in the market over the past few years,” said Fronk. Among the companies with the worst reputations were General Motors, Goldman Sachs (GS), Wall Street’s most dominant securities firm, which came in 56th out of 60, and Citigroup Inc. (C), formerly the biggest U.S. bank, was 57th. Bank of America (BAC), the nation’s largest lender, was 52nd and JPMorgan (JPM) was 53rd. Freddie Mac (FRE) scored worst among the 60 companies (Freddie Mac’s score of 38.94 is the lowest recorded score since Enron’s 30.05 in 2005), followed by American International Group (AIG) at 59 and Fannie Mae (FNM) at 58. Berkshire dethroned health-care company Johnson & Johnson by less than half a percentage point for the top spot. Industry-wise, tobacco again claimed the worst reputation.